Why Book Perry to Speak? 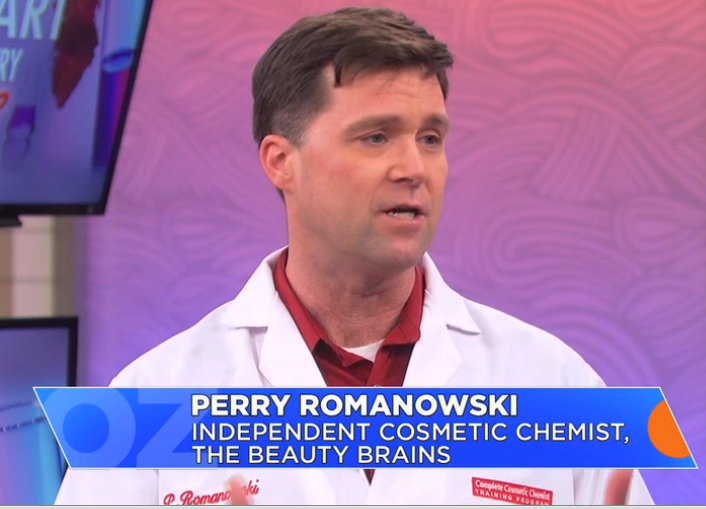 Perry Romanowski is the founder of Chemists Corner, The Beauty Brains, Phique Beauty Products, and a variety of other websites. He is a sought after keynote speaker who has presented around the world at events like in-Cosmetics (Berlin, Paris), Australian SCC, IPCE (Italy), PCHI (China), HBA (New York), SupplySide West (Las Vegas), New York Suppliers Day, California Suppliers Day (Las Angeles), Southwest Suppliers Day (Dallas) and many more. Perry has delivered talks to audiences of many hundreds of people and smaller workshop sized groups. He has numerous television appearances including multiple segments on the Dr Oz show, the Rachel Ray show, Fox and Friends, and more. He lives in Chicago, but regularly travels around the United States and Internationally to speak. Perry is a dynamic, interesting speaker who embraces the motto “never be boring.” He can speak on a wide range of topics related to the cosmetic industry, science, product formulating and entrepreneurship. Here is a list of topics he has spoken on in the past.